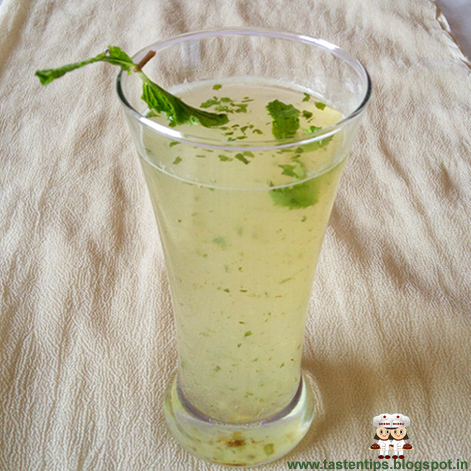 Aam Panna is a refreshing summer drink known for its heat resistant properties. Aam ka panna is a delicious and tangy drink made with raw mangoes, mint, sugar, salt, black salt and water. It's a tasty and healthy drink to fight against the intense summer heat......try it this summer and i am sure you love it. 1. Wash and boil raw mango till soft. 2. Remove the peel and take out the mango pulp. 3. Add 1/2 glass water to pulp, bland till smooth and strain it. 4. Now add remaining water to strained pulp and mix well. and stir till sugar dissolve. 6. Add 1-2 ice cubes in each serving glass, pour aam panna. 7. Garnish with mint leaves and serve chill. 2. You can also steam mangoes till soft so pulp comes out easily. 3. Jaggery can be added in place of sugar. 4. You can add jal jeera,black pepper to aam panna. An all time favorite, perfect for the hot weather now.. Apt for the season....Refreshing drink!! 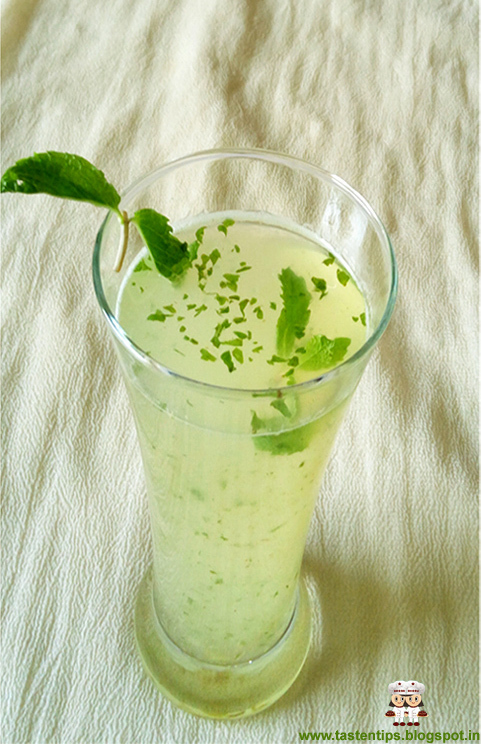 I love aam panna,this looks a real refreshing drink, I want to drink now.